A bail bond agent is often portrayed as “the bad guy” in many television shows and movies. In reality, though, a bail bondsman’s job is to help you when you find yourself in a bad situation. 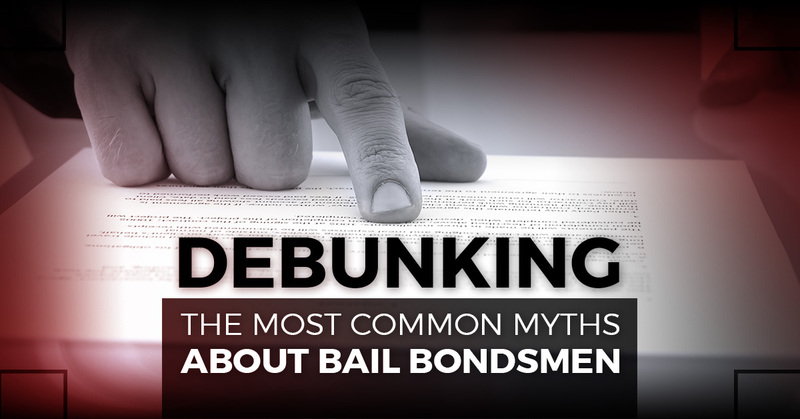 There’s no question that there are myths out there that give a bail bonds agency a bad name. This blog post is meant to clarify some of these misconceptions and help you feel more at ease when you must contact a bail bonds service. If you don’t have cash, you’re out of luck – Were you under the assumption that bondsmen only accepted cash and that bail must be paid in full? This actually isn’t the case. Here’s how these places work. When the time comes to pay the bail bondsman, they will accept some form of collateral through the use of your assets. Keep in mind that defendants or their families are then left to pay just a percentage of the total bill amount. At ABC Bail Bonds, we will work with you by creating a flexible payment plan. We happily accept all major credit cards and checks. We will never limit your payment options to cash only. A bondsman can negotiate court costs – You’d be surprised at how many clients believe that an agent is a person who sets bail. But the bail amount is set by a combination of the judge’s decision, the severity of the crime, and other legal considerations. There’s no negotiating on our end. Anyone can get out of jail with the right bail bonds service – Depending on the crime, bail may not even be an option for your case. A bail bonds agency can’t do anything to help your cause until a judge has determined that bail will be an option. Once the bail amount is established, we will do what we can so that you can be out of jail for the duration of the trial. Fees are refunded following the court date – To make this as clear as possible, let’s define what a bail bond is. It’s a promise to pay the city the amount of the bond if the accused fails to come back to court. Therefore, when a local bail bond company agrees to post bond on your behalf, they’re agreeing to guarantee your presence in court. Remember that once the payment is made, the transaction is final and no refund is involved. A bounty hunter is the same as a bail bondsman – We’ll touch on this in a future post, but this is just another myth when it comes to bail bond companies. On rare occasion, a bail bondsman may consult a bounty hunter to find a certain defendant who skipped out on bail. Aside from that, though, the two are completely separate entities. It could be that you’re still confused even after our clarification. As a third generation business with over 50 years of industry experience, we understand that many people who call us aren’t exactly sure how the process works. Unlike other agencies, we’re happy to answer any questions you may have and work with you to ensure a hassle-free transaction during what’s likely a traumatic time for your family. Our licensed professionals look forward to helping you. Call us today!